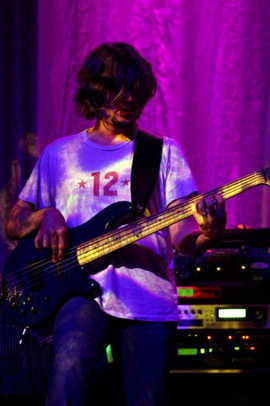 Jon played bass on all of Tori’s following records — except on Strange Little Girls and Night of Hunters — and toured with her and Matt Chamberlain in 1998, 1999, 2002-2003, 2007 and 2009. Jon also used to play in the San Francisco-based bands Red Fish, Blue Fish and New Legends (who later became King Kooker) and is part of the San Francisco jazz circuit — or at least, he was in the late 90s. He’s married with Allison Evans who also works on Tori’s crew during the tours. You’ll find more about Jon’s collaboration with Tori in the following weeks. If you have more informations on his career (what he did except playing with Tori, what he did recently, etc. ), don’t hesitate to contact us.